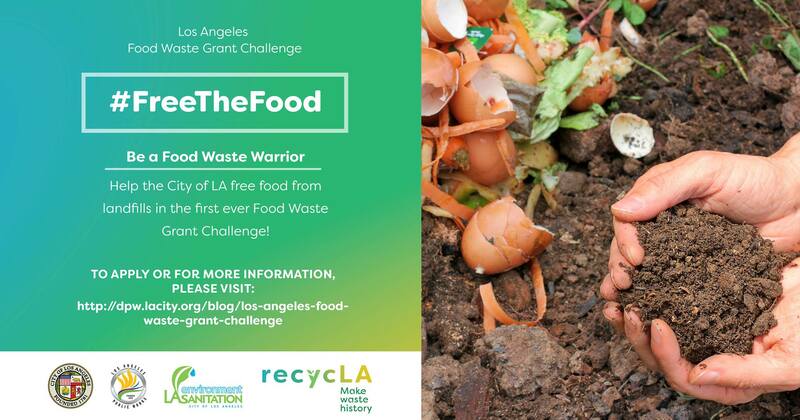 The City of Los Angeles is proud to announce a new Food Waste Grant Challenge as part of the City’s ongoing efforts to divert waste from landfills. Over 40% of edible food moving through LA goes to waste, yet more than half a million Angelenos struggle with food insecurity. Wasted food is a social, environmental and economic problem. Combating food waste regenerates resources, saves money for households, and feeds people. Grant proposals are due on December 8, 2017. Awards will be announced in mid-December, with a target start date of all projects on January 22, 2018. Project categories include food waste prevention, food donation, upcycled use (including animal feed or fuel) and composting.